Bonnie Tyler once sung a song entitled ‘Lost in France’ and almost lost in South African sport’s myriad sporting achievements around the globe were recent results in lifesaving’s Rescue 2014 in Montpellier. 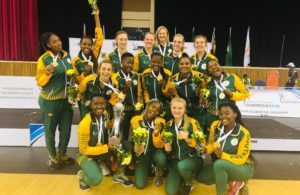 The national team returned with six medals from the biennial event and saw them ending seventh of 33 countries on the medals table. 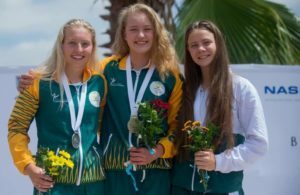 Three golds came South Africa’s way with the three gold medal-winners being Ryle de Morny with two gold medals (beach flags and sprint) and Matthew Baumann (surf ski). There were also bronze medals for Wade Krieger (board race and surf ski) and Mandi Maritz (beach flags). Krieger also got fourth spot in the Ironman. For Cape Town’s De Morny, this was a watershed year as he’s previously won the world title in both the sprints (2010) and flags (2012) but has never won both in the same year, largely due to injury at a crucial time. This year was different though and he was able to mount a sustained challenge in Montpellier, having being injury-free. ‘Having put in really good training I was feeling very confident going into this years comp,’ he told Road to Rio 2016. The first day of competition saw the 26-year old product of Bergvliet High School taking on one of his main events, the sprint and he was anxious to make amends for 2012 where he had injured himself. ‘There were over eight heats for sprints but I was feeling very comfortable leading up to the final. The final didn’t disappoint having all the top contenders from around the world present. I had a great start and was able to keep my lead throughout to pull off a very tough but desired win. It wasn’t a time for the faint-hearted as the entire day consisted of heats and semis, running down to a 16-man final. ‘One of the biggest finals I have ever competed in resulting in a bit of endurance also coming into play quite heavily. It was a tough final with a few close calls and some minor mistakes. ‘The toughest thing was the concentration required as it was a long final, so staying switched on for so long was new to me. The big crowd and atmosphere also added to the significance. ‘However once I got down to the final three everything just felt right, my mind was clear and I was zoned in. The final run itself was really great – I got a good turn and once I was up I threw my all into it getting comfortably ahead before the flag and, with lots of elation, was able to win the flags title again, also securing “the double”, something I’m not sure has been done in a very long time, possibly never, but more importantly something I really worked hard to try achieve and have wanted since my first world champs. ‘To represent my country and achieve such a long-wanted goal was surreal. I feel absolutely grateful and blessed to be able to have been given the opportunity to achieve it,’ concluded De Morny who has been doing lifesaving since an 11-year-old and is himself intimately involved in the fitness industry, manufacturing customer training equipment for various sports codes. Accompanying the team in a managerial capacity was Marque Delais who elaborated on some of the other medals won by South Africa. ‘In the surf ski race South Africa’s big Matthew Bouman got out of his bed that morning with viral flu and looked absolutely terrible. I spoke to him in the morning and he was running a temperature and feeling bad. ‘But he said he was here for a reason and proceeded to the beach where he went through the motions of warming up. He looked a site for sore eyes but the big gentle man went through the rounds, slowly making it to the finals. He did not have the best of starts but got the feel of the pace and picked his rate up after the apex, saw the gap on the inside and took full advantage and muscled his way past the early pace makers. ‘He achieved what he set out to accomplish, beating a strong finish from the Aussie Shannon Eckstein and SA’s Wade Krieger in third. New Zealand defended their overall title from 2012, with Australia second and hosts France third. 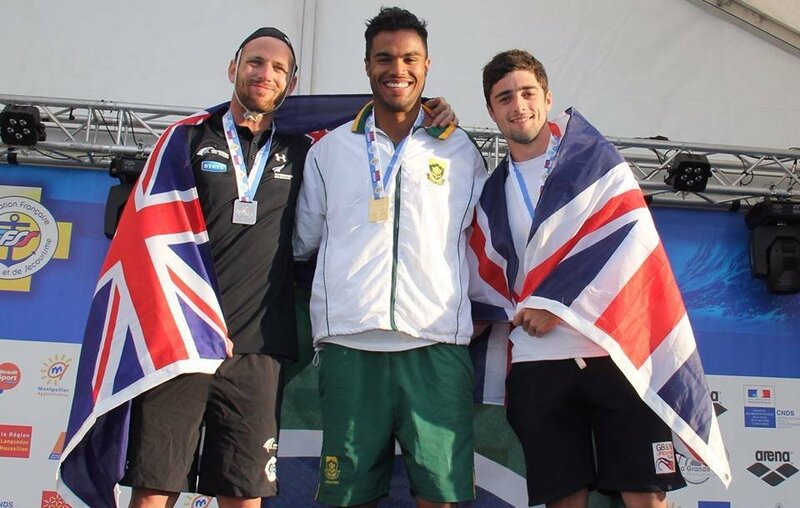 Wade Krieger – Bronze in Board Race, Bronze in Surf Ski Race, Ironman Fourth.